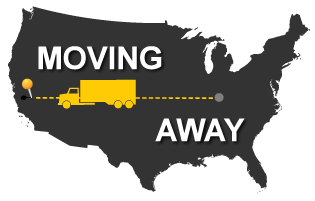 Moving out of the area to your new home somewhere else in the U.S.
Semonin’s relocation team focuses on individuals and families moving to different places in the United States and different countries of the World. Do you need to move somewhere else in the USA? Do you need local assistance in finding a realtor or broker in another state? Do you know Semonin is connected to thousands of other REALTORS® around the globe that are ready to help you move to thousands of other communities? Semonin Relocation Services can assist your move to anywhere in the world. We have a full service brokerage to help sell your home in Greater Louisville or Southern Indiana and then connect you with our national relocation partners, Leading Real Estate Companies of the WorldTM , to purchase your next home in an adjacent state, across the continent or on the other side of the world. When you move away from the Greater Louisville Kentucky or Southern Indiana areas, you can count on Semonin Relocation Services to find answers to your questions. We may be able to answer some of your questions from our website. Review the web links below to begin finding answers. If you desire a personal conversation about moving then call 1-800-548-1650 .